With the World Cup just a few days away, everyone is trying to figure out the best ways to watch and keep track of their favorite teams. But before you download any apps, here’s something to think about: The La Liga app, which is the official streaming app for Spain’s most popular football league, has reportedly been using the microphones on fans’ phones to root out unauthorized broadcasts of matches in public venues like bars and restaurants. It sounds exactly like the kind of surveillance people are afraid of when it comes to modern technology, but as is often the case, the La Liga app technically asks users in Spain for permission to access their mics, according to Spanish Website El Diario. 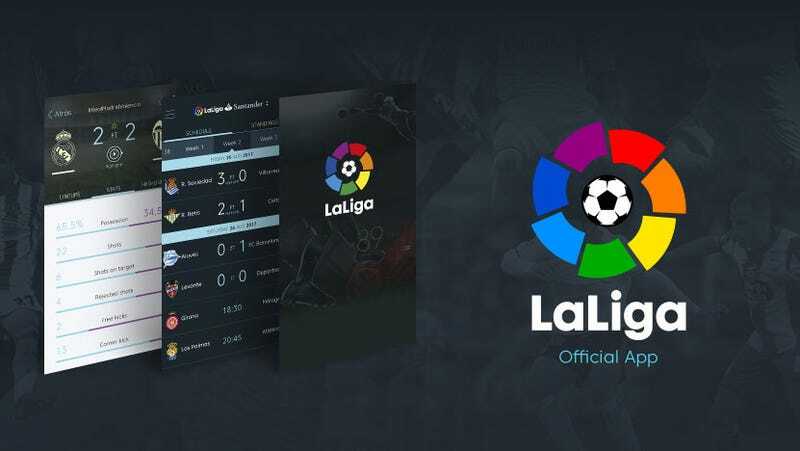 After downloading the La Liga app, it presents Spanish users with two options: a standard terms-of-service agreement, and a second, opt-in permission that gives La Liga consent to activate your device’s mic and even turn on GPS to help pinpoint the location of unlicensed broadcasts. However, according to the report, the only way you’d know that is by reading the fine print that accompanies the permissions—which no one ever does. Even more troubling, it seems this behavior has been going on for a while, and only recently has been brought back to light thanks to Europe’s new GDPR online privacy laws. La Liga also reportedly claimed that user privacy is not at risk because the app turns audio recordings into code and doesn’t record or save any data locally, though I suspect that won’t make anyone feel better if they’ve just learned their phone has been snooping on them while they watch football. The small bit of good news is that folks outside of Spain apparently aren’t part of this listening scheme, and for those who are, it should be possible to change the app’s permissions by going into your device’s settings menu and revoking access to your phone’s mic and GPS. With downloads for the La Liga app showing a nine-digit count in the Google Play Store, it’s possible that millions of smartphone users have been unwittingly ratting out their favorite local sports bars just by watching their favorite team. Ouch.